RPG Maker MV 1.3.2 Update! 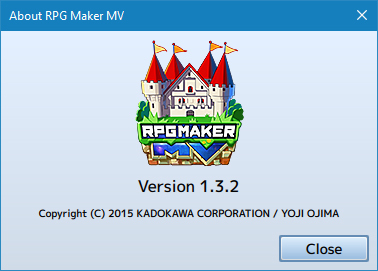 The RPG Maker MV 1.3.2 update is out! You can download it and read about the new features here. Added waitForLoading and register variables. Graphics.playVideo function updated to add a Mobile Safari check for video playing. Graphics.isVideoPlaying function updated to add a Mobile Safari check for video playing. Graphics._onVideoLoad function updated to add a Mobile Safari check for video playing. Graphics._onVideoEnd function updated to add a Mobile Safari check for video playing. Input._updateGamepadState function updated to provide Direct Input Controller support. Sprite.prototype.initialize function updated to no longer have an offset variable. It is now replaced by the pivot. Sprite.prototype._refresh updated offset variable to work with pivot and texture update ID. TilingSprite is now a different object type (PictureTilingSprite). TilingSprite.prototype.initialize function updated to call PictureTilingSprite instead. TilingSprite.prototype._renderCanvas_PIXI and TilingSprite.prototype._renderWebGL_PIXI updated to work with PictureTilingSprite instead. TilingSprite.prototype._refresh function updated to work with PictureTilingSprite and texture update ID. WindowLayer.prototype.initialize function updated to fix memory leak. WindowLayer.prototype.renderWebGL updated to work with PIXI.Point shift. WindowLayer.prototype._maskWindow function updated to require shift. SceneManager.onKeyDown function updated to have a warning message for Japanese game systems: Reloading the game with a gamepad connected will cause a disconnect. BattleManager.invokeCounterAttack function updated to display the target as the counter target instead of the subject. 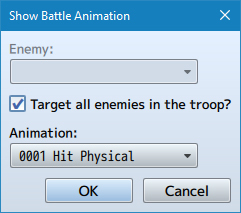 BattleManager.invokeMagicReflection function updated to register the reflection target and display the target as the reflect target instead of the subject. Game_Action.prototype.gainDrainedHp function updated to work with reflected targets. Game_Action.prototype.gainDrainedMp function updated to work with reflected targets. Game_Actor.prototype.isLearnedSkill function updated to now include skills added through traits. Scene_Map.prototype.terminate updated to fix memory leak bug. And that’s it! Happy RPG Making!